For decades, public and private parties have claimed that they need just a little bit of Minneapolis parkland to achieve their goals. And now even Governor Dayton has joined the shrill chorus of those who think taking parkland is the most expedient solution to political challenges. The Minneapolis Park and Recreation Board (MPRB) is justified in examining very skeptically all desires to take parkland for other purposes and in rejecting nearly all of them categorically. Commentators writing in December in the StarTribune asserted that the Park Board is wrong to object to just 28 feet of bridge expansion over Kenilworth Lagoon for the construction of the Southwest Light Rail Transit (SWLRT) corridor. They write as if that bridge and expansion of rail traffic across park property were the only alternative. Gov. Dayton seems to repeat the error. Other political jurisdictions involved in the proposed light rail corridor have objected to this or that provision of the project and their objections have been given a hearing, often favorable. I didn’t hear Governor Dayton threaten to slash local government aid to St. Louis Park when officials there objected to the Met Council’s original proposals for SWLRT. But the Park Board is supposed to cave into whatever demands remain after everyone else has whined and won. Minneapolis parks are too valuable an asset – for the entire state – to have them viewed as simply the least painful political sacrifice. Should the SWLRT bridge be built? I don’t know—but I do want the Park Board to ensure that all options have been investigated fully. That desire to consider all feasible options to taking parkland for transportation projects that use federal funds was first expressed in 1960s legislation. The legislation was meant to ensure that parkland would be taken for the nation’s burgeoning freeway system only as a last resort. In the present case, the Park Board was not convinced that the Met Council had investigated all options thoroughly once it had acquiesced to the demands of other interested parties. A Park Board study in 1960 identified more than 300 acres of Minneapolis parkland that were desired by other entities both private and public. Hennepin County wanted to turn Victory Memorial Drive into the new County Highway 169. A few years later, the Minnesota Department of Highways planned to convert Hiawatha Avenue, Highway 55, into an elevated expressway within yards of Minnehaha Falls—in addition to taking scores of acres of parkland for I-94 and I-35W. In the freeway-building years, parkland was lost in every part of the city: at Loring Park, The Parade, Riverside Park, Murphy Square, Luxton Park, Martin Luther King Park (then Nicollet Park), Perkins Hill, North Mississippi, Theodore Wirth Park and others, not to mention the extinction of Elwell Park and Wilson Park. Chute Square was penciled in to become a parking lot. With that policy in place, the Park Board resisted efforts by the Minnesota Department of Highways to take parkland for freeways or, as a last resort, pay next to nothing for it. Still, the Park Board battled the state all the way to the United States Supreme Court over plans to build an elevated freeway within view of Minnehaha Falls—a plan supported by nearly every other elected body or officeholder in the city and state, including the Minneapolis City Council. While the Supreme Court chose not to hear the Minnehaha case, its decision in a related case involving parkland in Memphis, Tenn. established a precedent that forced Minnesota to reconsider its Highway 55 plans and provides the basis for the Park Board today to investigate alternatives to taking park property for projects that use federal funds. The Park Board is right to do so, even at the high cost it must pay—which the Met Council should be paying—and regardless of the results of that investigation. The Park Board needs to reassert very forcefully that taking parkland is a very serious matter and not the easiest way out when other arrangements don’t fall into place. That trust and responsibility has not changed in the intervening 50 years. And it is not exercised well if the Park Board allows land to be lopped away from parks—even 28 feet at a time—without the most intense scrutiny and, when necessary, resistance. It could help us avoid horrors like elevated freeways near our most famous landmarks. What I find most troubling about events of the past year relating to Minneapolis parks is the blatant disregard by elected officials—from Minneapolis’s Mayors to Minnesota’s Governor—of the demands and complexity of park planning and administration, as if great parks and park systems happen by accident. They don’t. They take conscientious, informed planning, funding, programming and maintaining. We can’t just write them into and out of existence as mere bargaining chips in some grander game. Parks should not be an afterthought in the crush of city or state business. I worry when an outgoing mayor negotiates an awful agreement for a “public” park for the benefit of the Minnesota Vikings without the input of the people who would have to build and run it. I wince when an incoming mayor trumpets a youth initiative without input from the organization that has the greatest capacity for interaction with the city’s young people. And I am really perplexed when a governor makes so little effort to engage an elected body with as important a stake in a major project as the park board’s in the SWLRT. Other elected officials seem more than happy to rub shoulders with park commissioners and staff when the Minneapolis park system receives national awards, or a President highlights the parks on a visit, or when exciting new park projects are unveiled. But they seem to forget who those people are when they are sending out invitations to the table to decide the city’s future. That is a serious and easily avoidable mistake. It’s not a common sight. 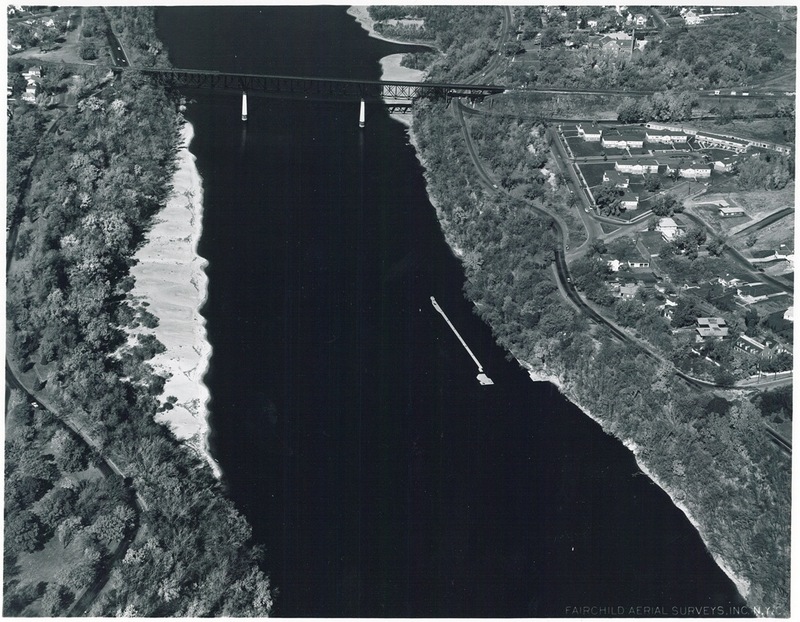 I’d never seen it myself until I saw this picture from Fairchild Aerial Surveys taken in 1955. St. Anthony Falls is completely dry. Water levels were down everywhere at the time. Meteorological charts list 1955 as the 13th driest year on record in Minneapolis, but a look at longer-term data reveal that rainfall had been below normal for most of the previous 40 years. Downstream from St. Anthony Falls, the river was also very low, revealing the former structure of the locks at the Meeker Island Dam. That dry spell had a significant impact on park property. Many park board facilities, from beach houses to boat houses and docks, were permanent structures that required proximity to the water’s edge. Parks were also landscaped and mowed to the water line and, since the depression, at least, many lakes had WPA-built shore walls that looked goofy a few feet up on dry land. Park board annual reports provide time-lapse updates. 1948: Minnehaha Creek dry most of the year, lakes down 1.5 feet. 1951: Record snowfall and heavy rains raised lake levels 0.44 feet above normal in April; flooding problems along Minnehaha Creek golf courses required dikes to make courses playable; attendance at Minnehaha Park high all year due to impressive water flow over falls. 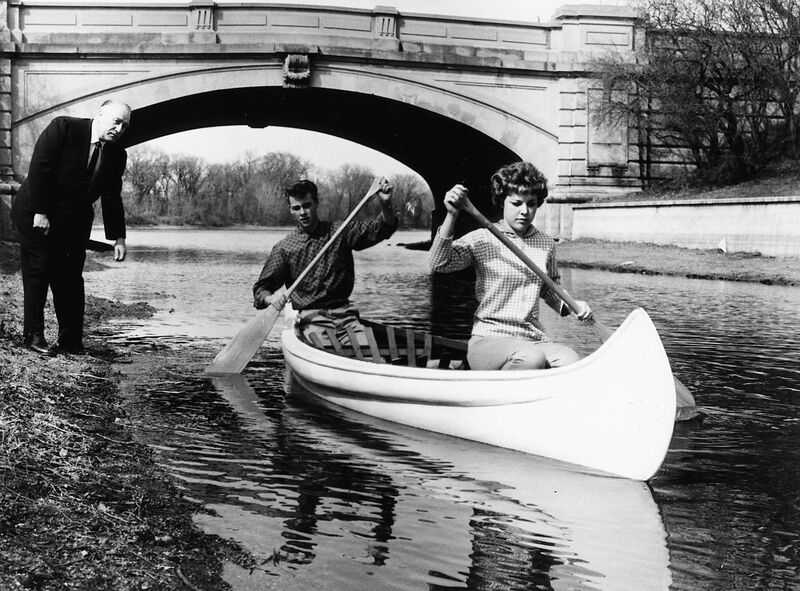 1954: Again, water level fluctuations; near normal in early summer, low in fall; Minnehaha Creek again dry in November. 1957: City water — purchased at a discount! — pumped into lakes raised lake levels 1.5 feet; park board began construction of $210,000 pipeline from Bassett’s Creek, which, unlike Minnehaha Creek, had never been completely dry, to Brownie Lake. 1958: Second driest year on record; Minnehaha Creek dry second half of year; pumps activated on pipeline from Bassett’s Creek, raised water level in lakes 4.2 inches by pumping 84,000,000 gallons of water. 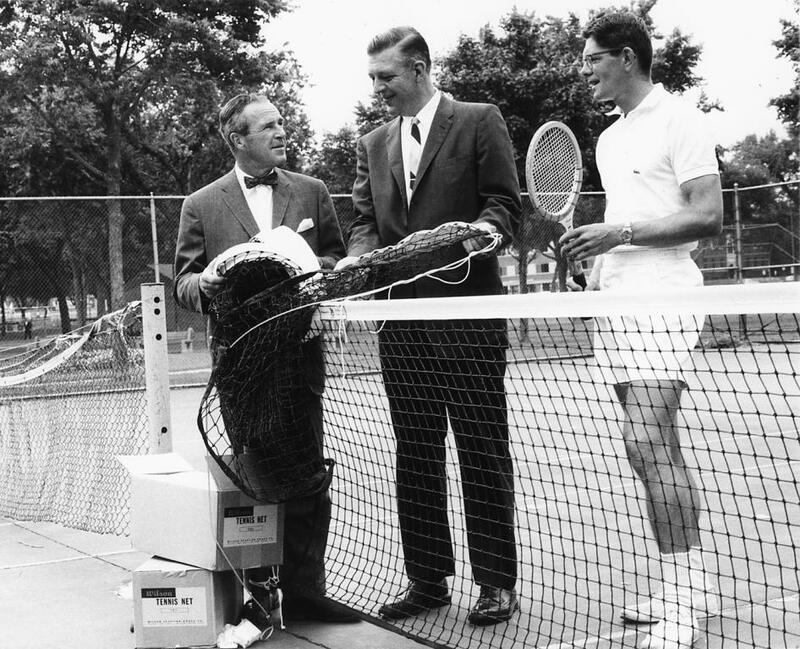 1959: Dry weather continued; Park board suggested reduction in water table may be result of development; Park board won a lawsuit against Minikahda Club for pumping water from Lake Calhoun to water golf course. When Minikahda donated lake shore to park board for West Calhoun Parkway in 1908 it retained water rights, but a judge ruled the club couldn’t exercise those rights unless lake level was at a certain height — higher than the lake was at that time — except in emergencies when it could water the greens only. Lakes were treated with sodium arsenite to prevent weed growth in shallower water; low water permitted park crews to clean exposed shorelines of debris. 1960: Lake levels up 4 feet due to pumping and rain fall; channels between lakes opened for first time in two years; hydrologist Adolph Meyer hired to devise a permanent solution to low water levels. That’s more than a decade’s worth of weather reports. The recommendation of hydrologist Adolph Meyer was very creative: collect and recycle water from the air-conditioners in downtown office buildings and stores, and pump it to the lakes. That seemed like a good idea until the people who ran all those air-conditioners downtown thought about it and realized they could recycle all that water themselves through their own air-conditioners and save a lot of money on water bills. End of good idea. Instead the park board extended its Chain of Lakes pumping pipeline from Bassett’s Creek all the way to the Mississippi River. But that’s a story for another time. If you’ve followed the extensive shoreline construction at Lake of the Isles over the last many years, you know that water levels in city lakes remains an important, and costly, issue—and it probably always will be. It’s the price we pay for our city’s water-based beauty. 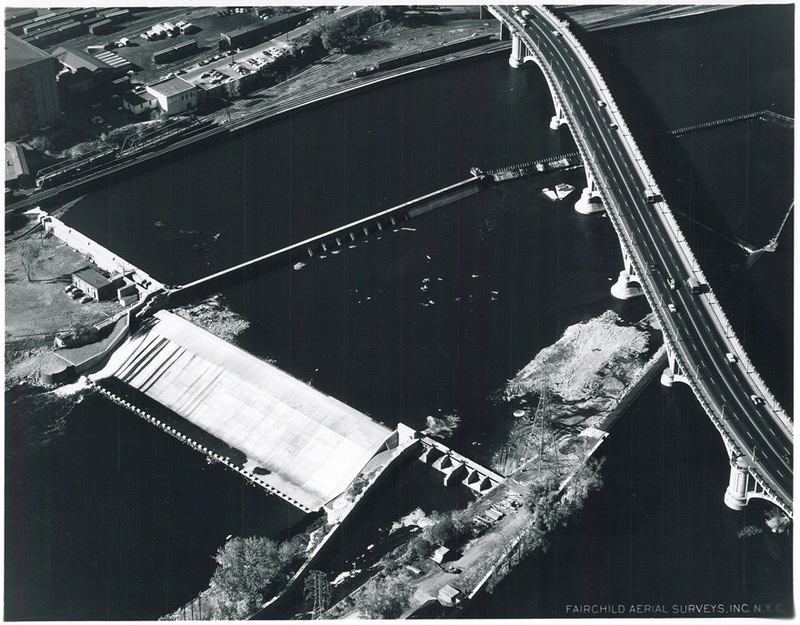 Afterthought: The lowest I ever remember seeing the river was following the collapse of the I-35W bridge. The river was lowered above the Ford Dam to facilitate recovery of wreckage from that tragedy. Following a suggestion from Friends of the Mississippi River, my Dad and I took a few heavy-duty trash bags down to the river bank near the site of the Meeker Island Dam to pick up trash exposed by the lower water levels. Even then the water level wasn’t as low as in the Fairchild photos. If you’re interested in the subject of a pond near Lyndale and Franklin, you might want to check out “comments” on the subject posted a few days ago. Some good information. Thanks to readers who responded and to Cheryl Luger for posing the questions in the first place. I wanted to add that while investigating another subject I found an 1897 Minneapolis map produced by the city engineer that shows elevations. (A small section of that map is pictured below.) It’s also interesting to see where in the city you could get running water and why the city was installing water lines from a reservoir in Columbia Heights. Note the highest elevations in the city. To keep things in perspective the population of Minneapolis in 1900 was already more than 200,000. The 1890s was the first decade in four in which the population of Minneapolis didn’t nearly triple. Likely due to the depression set off in 1893. The complete map, as well as dozens more from around the state, are available at the Minnesota Digital Library, an excellent resource for researchers or the curious. Unfortunately, this map has less topographical detail than the map suggested by Bill Payne in his comment on the previous article. 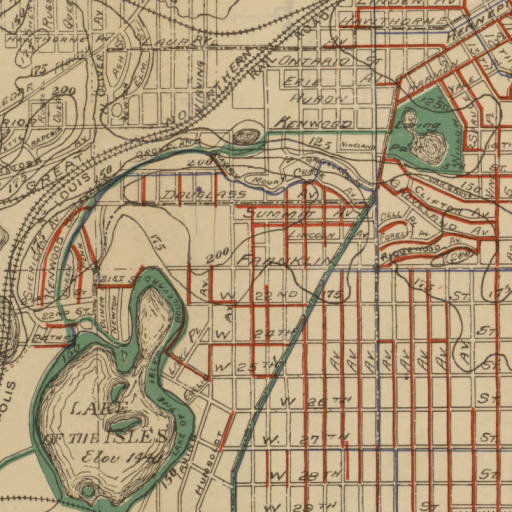 It shows no remnant of the pond on earlier maps at Lyndale and 22nd, nor the depression that is noted there on the 1901 map Bill found. The 1897 city map shows elevation increments of 25 feet; the 1901 map shows increments of 20 feet, which may account for the difference. Many, many properties were added to the Minneapolis park system after this map was made in 1897. For instance, notice that there is no West River Parkway, nor a St. Anthony Parkway, nor a Victory Memorial Drive, and on and on. Most of the Grand Rounds hadn’t been built. (This map doesn’t even show Stinson Parkway, which did exist in 1897!) But there are three significant park properties on this map that are no longer park properties. Can you name them? 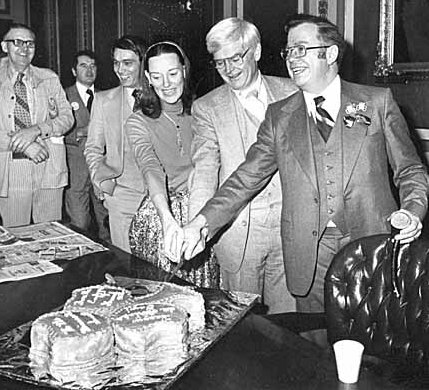 Winner gets a free subscription to minneapolisparkhistory.com! NOTE (June 1, 2012): The contest is now over and Adrienne was the winner. She named Meeker Island in the Mississippi River as one park property on the map that is no longer. The other two were Hennepin Avenue South and Lyndale Avenue North. Both were parkways in 1897, but were given up by the park board in 1905. The city subsequently took responsibility for them as ordinary city streets.